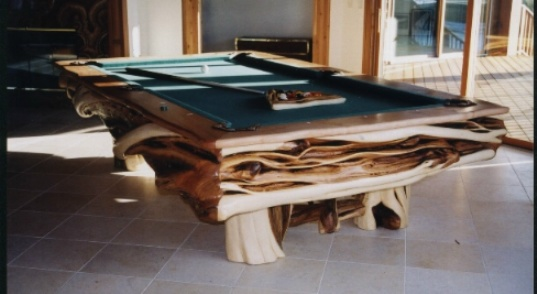 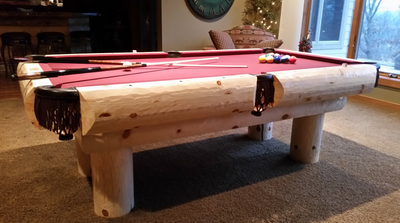 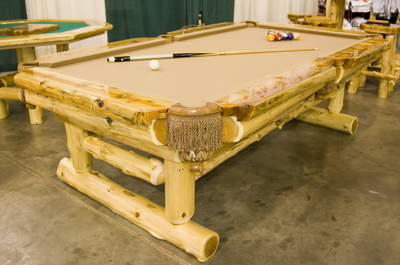 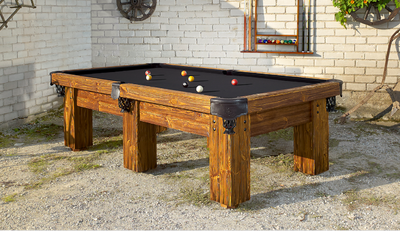 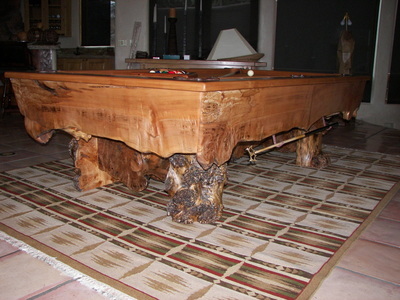 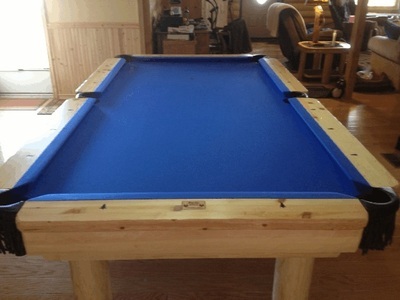 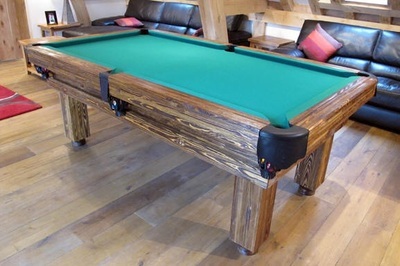 This pool table is a 4' x 8' Maple table. The slabs were harvested in Oregon. 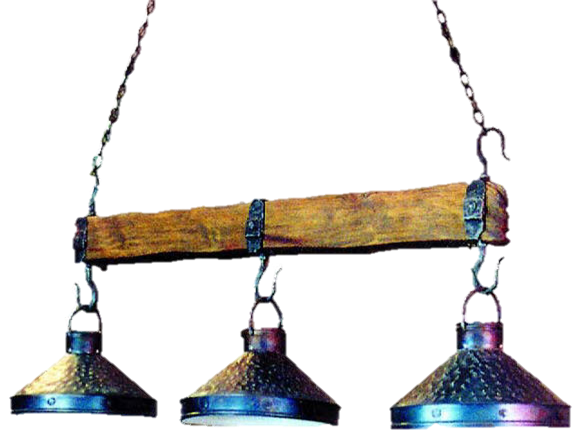 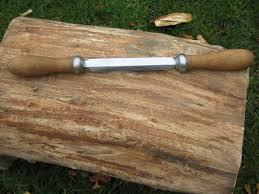 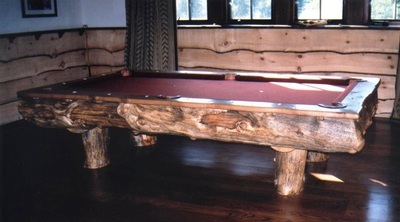 The top rails are Cherry and the aiming dots are Indian Head nickels placed in a head and tail alternating pattern. Pocket surrounds are handcrafted leather. 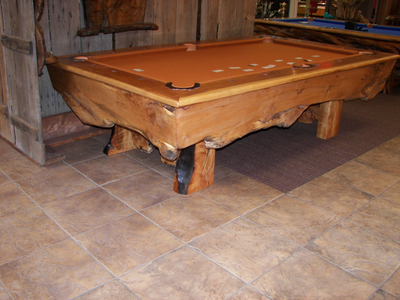 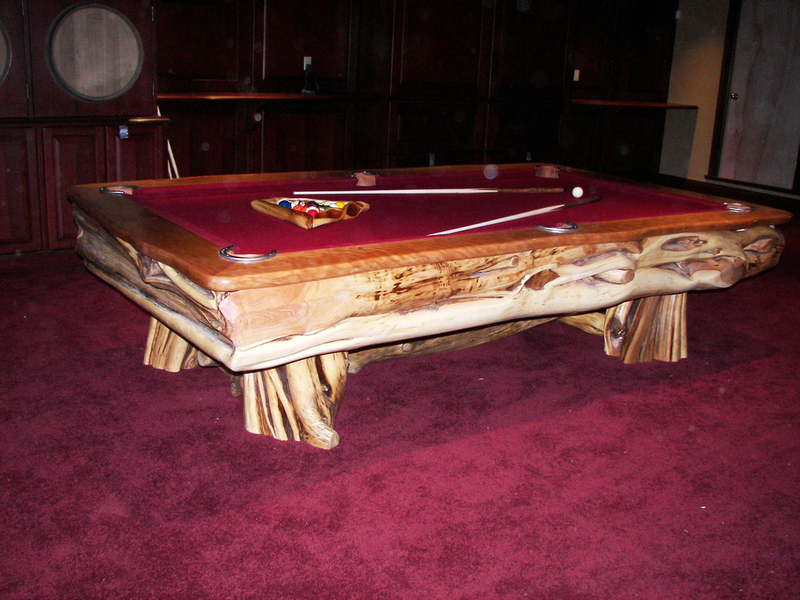 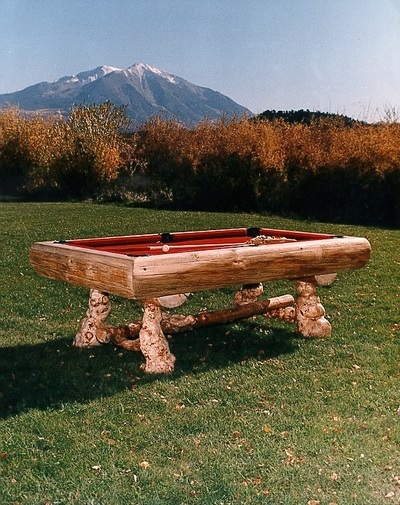 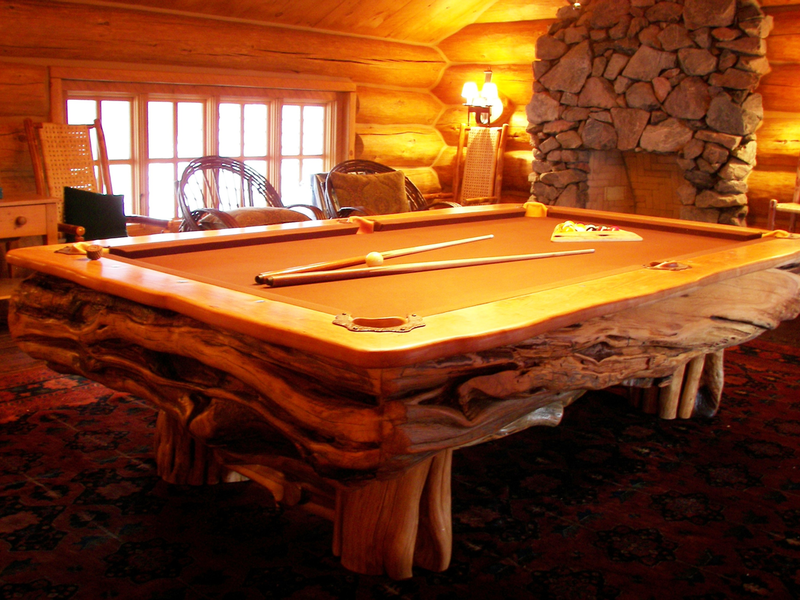 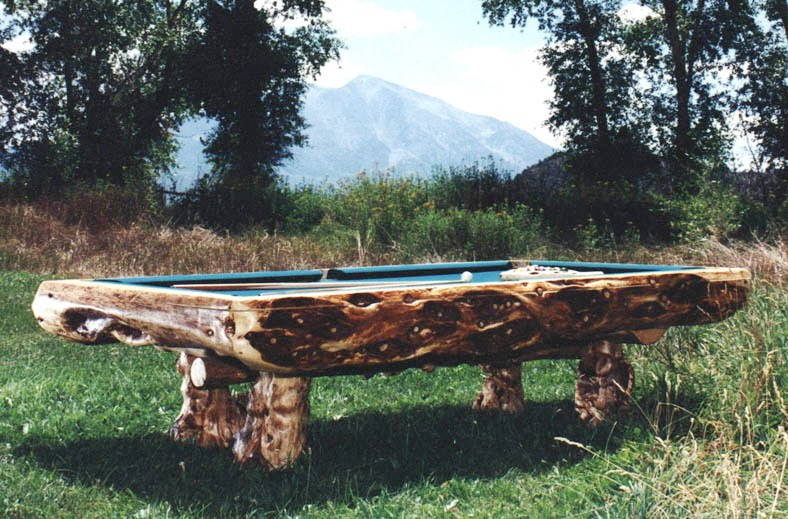 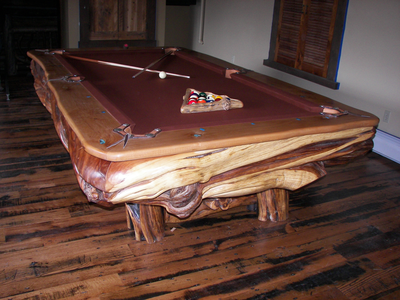 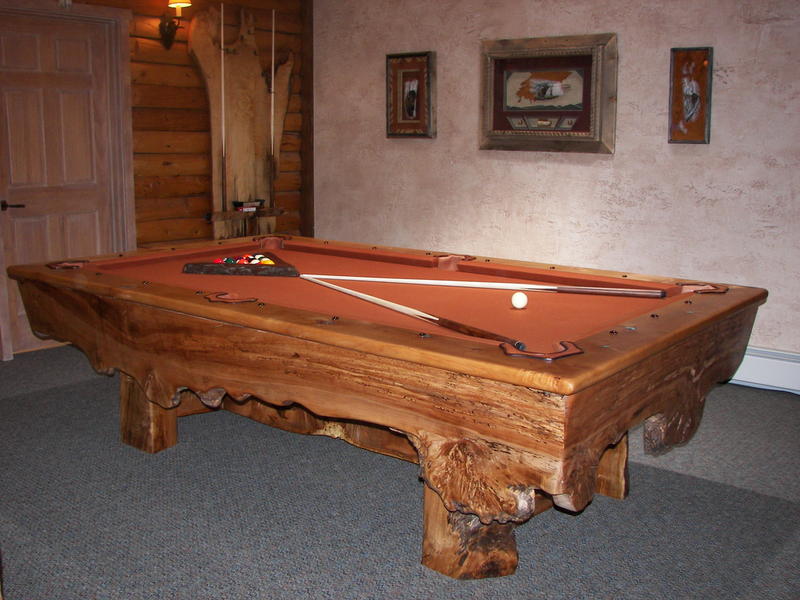 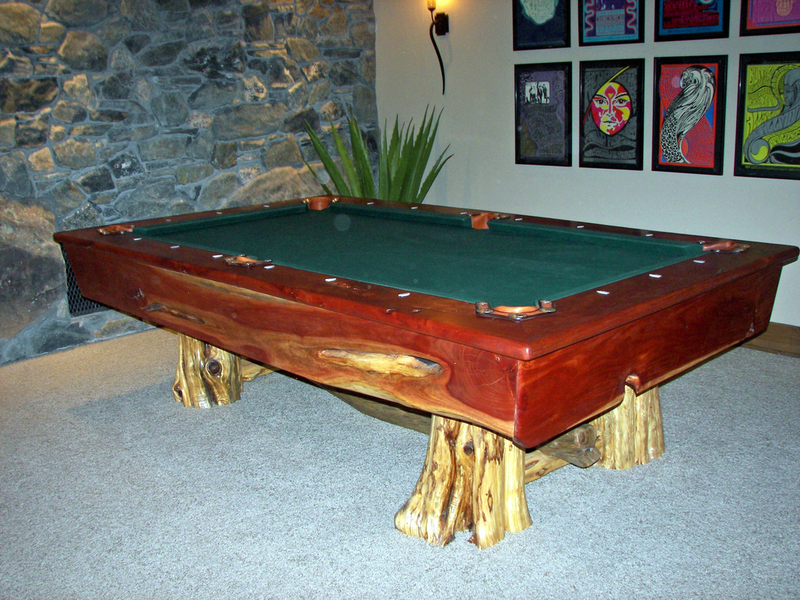 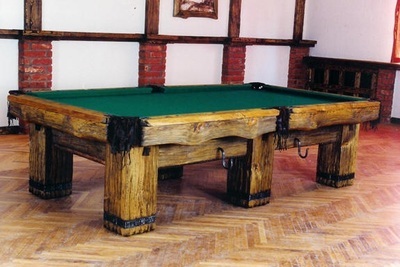 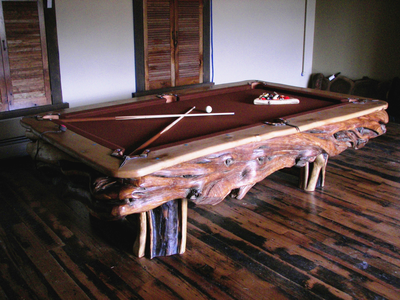 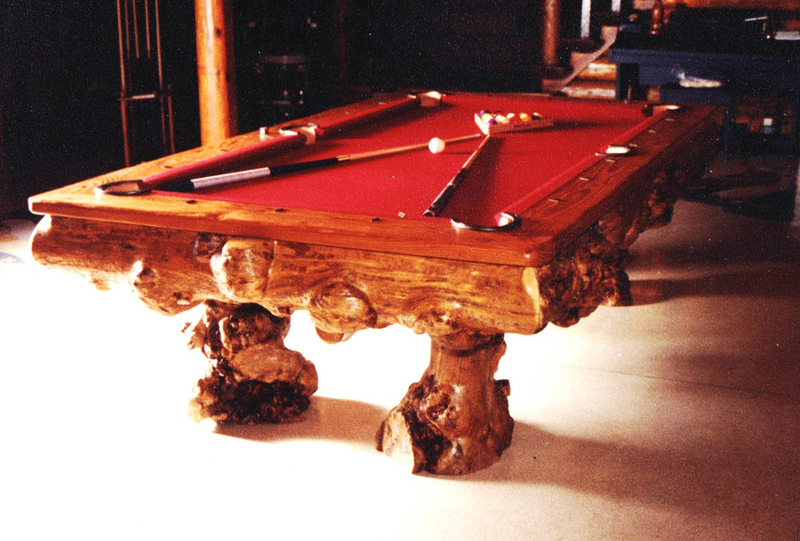 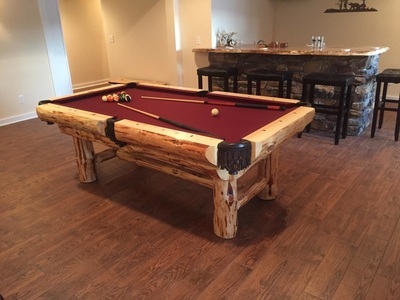 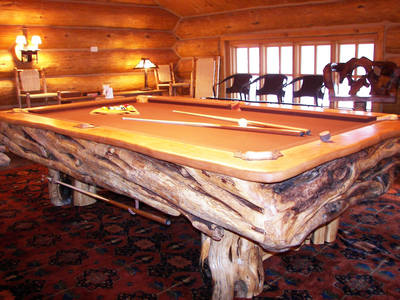 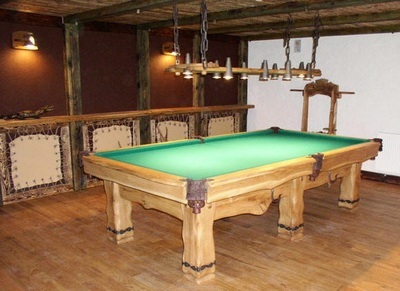 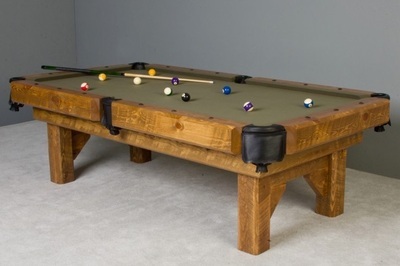 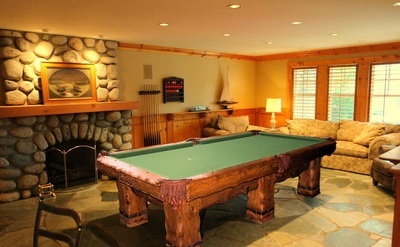 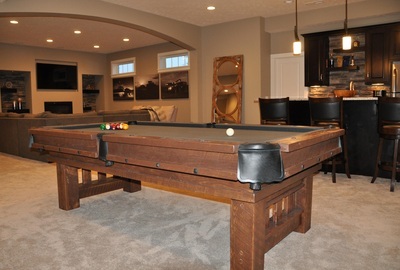 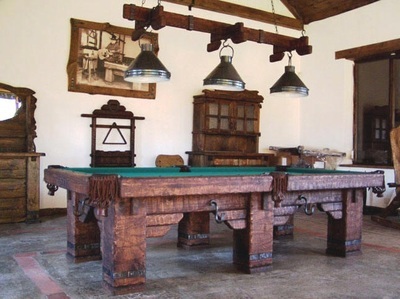 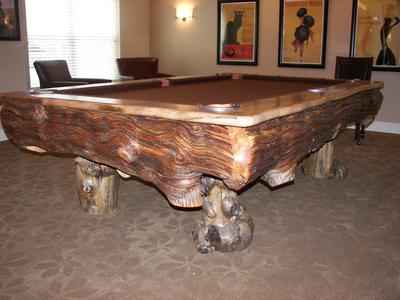 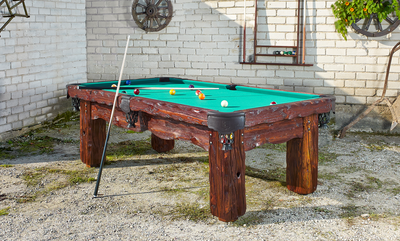 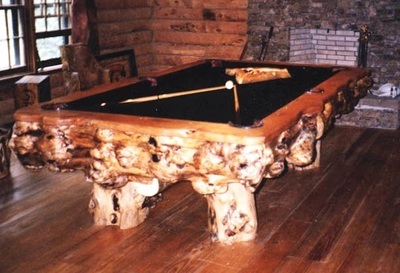 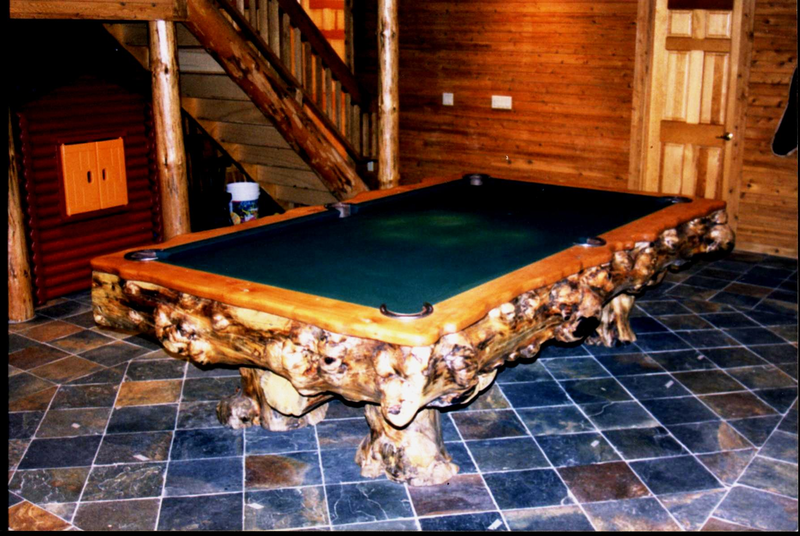 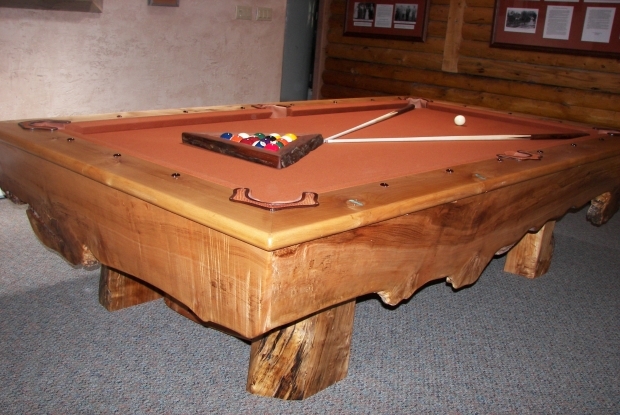 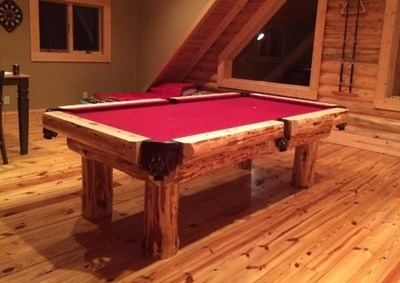 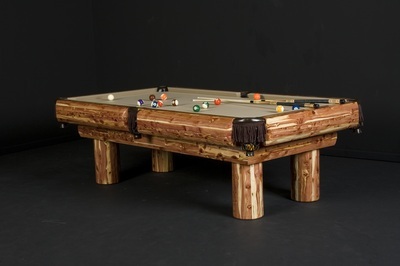 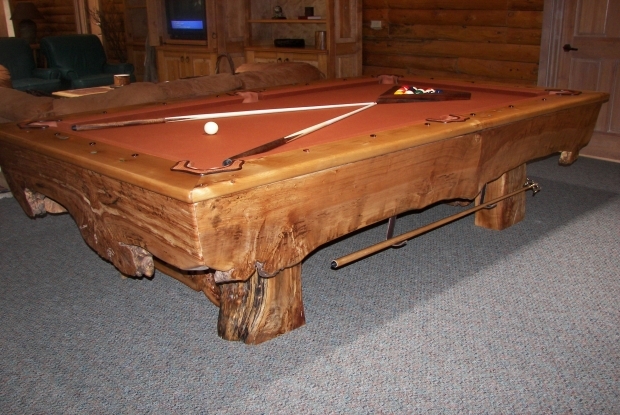 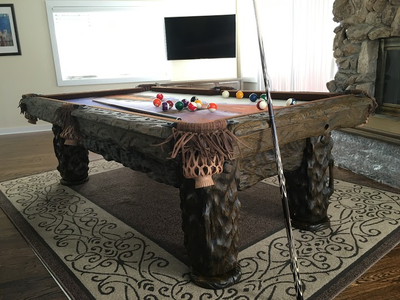 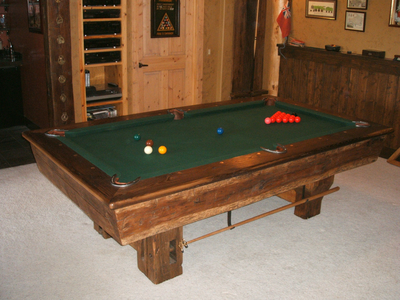 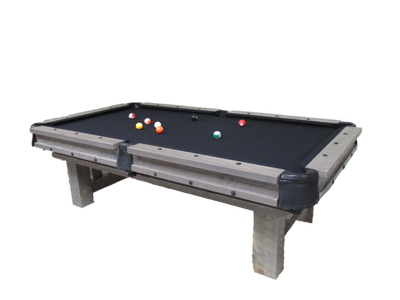 This pool table was built for a custom home at Clear Creek Ranch in Leadville, Colorado.